On January 30th, I attended this year’s RV Expo and Sale at the BMO Centre in Calgary, sponsored by the Recreation Vehicle Dealers Association (RVDA) of Alberta. A dozen RV dealers, showcasing the latest new model introductions, featured innovative options and trends. The crowd of prospective buyers was a mix of young families, baby boomers and many seasoned RV owners. Some dealers were generous enough to provide play areas for youngsters so the parents could focus on RV shopping. The dealer salespeople and manufacturer representatives eagerly answered questions and offered exceptional deals exclusive to the RV show. Many RV units had multiple sold tags on a popular floor plan. Each of the dealers had their designated exhibit areas set up to welcome everyone with large entrance archways; in some exhibits employees handed out special show flyers and limited offers. Many dealers had special show bargains from the parts and accessory departments on everything from solar panels and generators to lounging chairs and RV cleaning products. 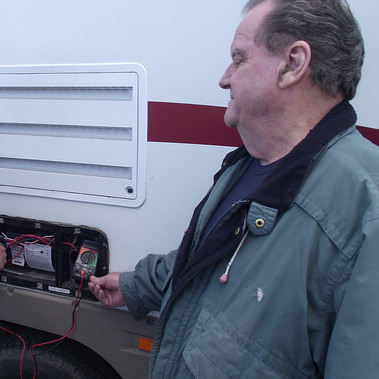 Informative seminars were offered in the RV Lifestyle Theatre; these seminars provided tips and advice on products such as solar panels and holding tank chemicals as well as on getting your RV ready for the road. Some presentations were on RV adventures in other provinces and the Northwest Territories. Our RVwest booth, located at the entrance to the RV Lifestyle Theatre, was hosted by Duane and Lynda Pilson of Rec-Vee Holiday Adventures. Surrounding smaller booth areas featured RV resort reps from Alberta, British Columbia and Saskatchewan. 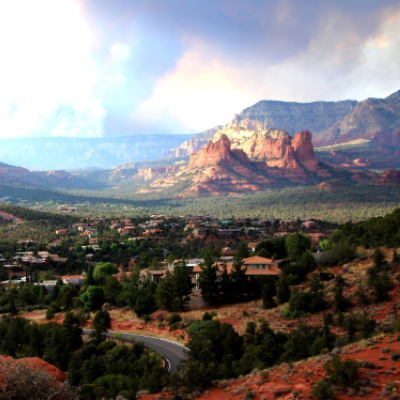 KOA resorts from south of the border offered deals on vacation packages. For those interested in pursuing a career in the RV industry as an RV technician, both SAIT Polytechnic and Okanagan College had some great booths set up to answer any questions and to offer assistance in getting potential students started. The RVDA of Alberta had an impressive lightweight teardrop-type RV that was constructed by SAIT students to show many of the interesting aspects of the trade. One manufacturer’s unique display showcased their five-year water damage warranty. 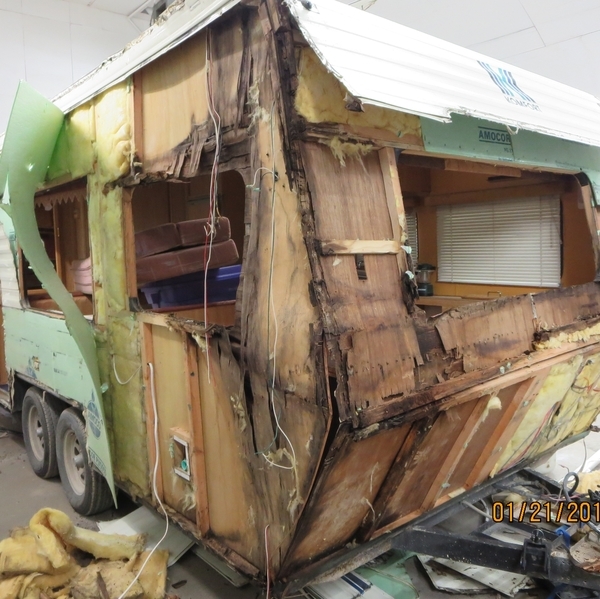 The RV unit was placed in a catchpool with water being sprayed over the roof to show prospective buyers the quality of workmanship of their RV units. One of the newer trends is the option of an exterior kitchen area that allows the owner to store, prepare and cook meals outside. One manufacturer had this unit in an electric slide-out system with the addition of a flat-screen TV, microwave and awning above the kitchen. The weather is improving and the days are getting longer. An RV Expo and Sale of this calibre is all we need to either generate a new interest in the RV lifestyle or upgrade our present RV to a brand new unit.